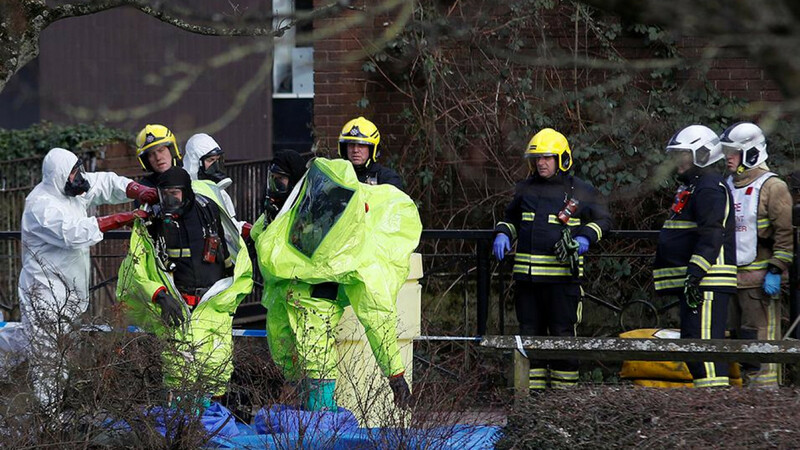 Britain will respond appropriately if evidence shows Moscow sponsored a nerve agent attack on a Russian ex-spy and his daughter in southern England, Prime Minister Theresa May said on Thursday, in the highest-level warning of action to date. Former double agent Sergei Skripal, 66, and his daughter Yulia, 33, have been in hospital since they were found unconscious on Sunday on a bench outside a shopping centre in the quiet cathedral city of Salisbury. 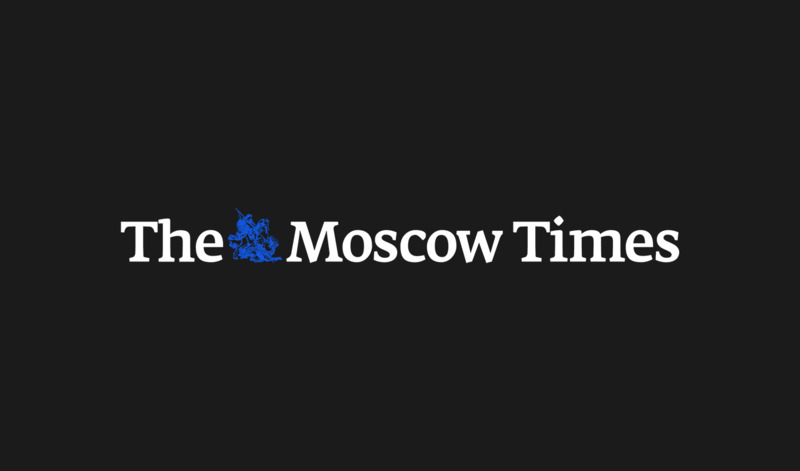 British media and some politicians have speculated that the Russian state could be behind the attack - suggestions dismissed by Moscow as knee-jerk, anti-Russian propaganda. "We will do what is appropriate, we will do what is right, if it is proved to be the case that this is state-sponsored," May told ITV News, when asked whether Britain could expel the Russian ambassador over the attack. "But let's give the police the time and space to actually conduct their investigation," she added, in her first comments on the attack since police said on Wednesday a nerve agent was used. "Of course if action needs to be taken then the government will do that. We'll do that properly, at the right time, and on the basis of the best evidence," she said. Scientific tests by government experts have identified the specific substance used, which will help identify the source, but authorities have refused to disclose the details. Both victims remain unconscious, in a critical but stable condition, while a British police officer who was also harmed by the substance is now able to talk to people although he remains in a serious condition, interior minister Amber Rudd said. "The use of a nerve agent on UK soil is a brazen and reckless act. This was attempted murder in the most cruel and public way," Rudd told parliament in a statement. "But if we are to be rigorous in this investigation, we must avoid speculation and allow the police to carry on their investigation." Despite her call, several lawmakers pointed the finger at Russia during their questions to Rudd, with some calling for investigations to be re-opened into the deaths of Russian exiles in Britain in recent years. 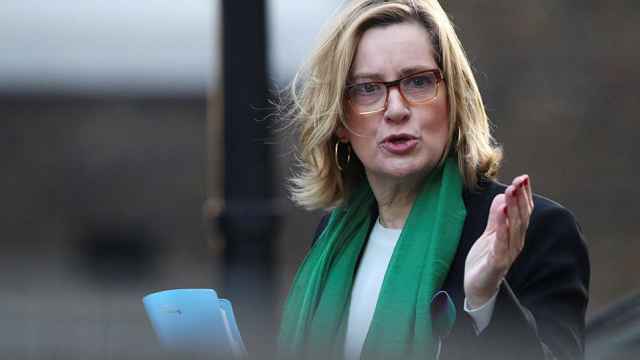 Rudd rebuffed them, urging people to keep a cool head and saying the focus should remain on the Salisbury incident. "We will respond in a robust and appropriate manner once we ascertain who was responsible," she said. "We are committed to do all we can to bring the perpetrators to justice, whoever they are and wherever they may be." Skripal betrayed dozens of Russian agents to British intelligence before his arrest by Russian authorities in 2004. He was sentenced to 13 years in prison in 2006, and in 2010 was given refuge in Britain after being exchanged for Russian spies. The attack on him has been likened in Britain to the assassination of ex-KGB agent Alexander Litvinenko, a critic of Russian President Vladimir Putin, who died in London in 2006 after drinking green tea laced with radioactive polonium-210. A British public inquiry later said Litvinenko's murder had probably been approved by Putin and carried out by two Russians, Dmitry Kovtun and Andrei Lugovoy, an ex-KGB bodyguard who later became a member of parliament. Both men denied any responsibility and Russia has refused to extradite them to stand trial. Rudd was pressed during a BBC radio interview earlier on whether Britain had been too soft on Russia following the Litvinenko murder, sending out a message that such acts could be carried out with impunity. She denied this and hinted that if Russia turned out to be implicated in the attack on Skripal, action would be taken against it. 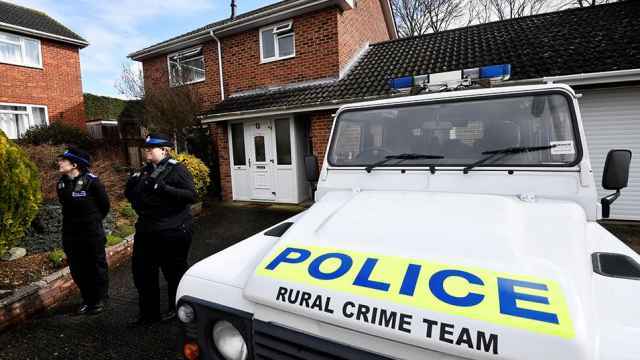 "We are absolutely robust about any crimes committed on these streets in the UK. There is nothing soft about the UK's response to any sort of state activity in this country," she said. In Russia, some media took an almost jocular tone. "Do not chose England as your next country of residence, whether you are a professional traitor of your homeland, or you just hate your country in your free time," said Kirill Kleimenov, news anchor on Russia's state-run Channel One, as he introduced an item about the story on the evening news bulletin. "Something's not right there, maybe it's the climate, but in the past few years there have been a lot of strange occurrences there with a terrible outcome. People hang themselves, fall out of windows, are poisoned, or crash in helicopters in simply industrial quantities." The comments come in the wake of the unexplained death of a Russian associate of late tycoon Boris Berezovsky. 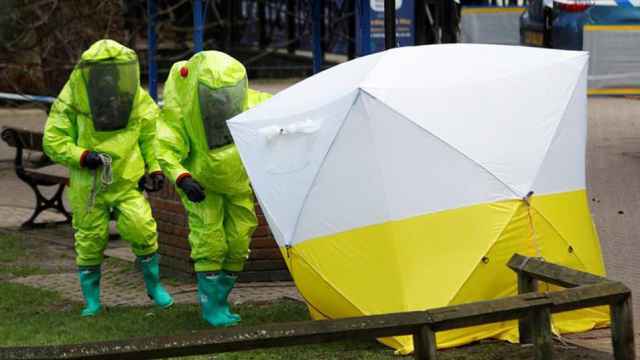 Sergei Skripal's condition remains serious.